Responding to customer demand, WKW Extrusion has now developed spray formed 7000 series aluminum alloys. This complements the spray formed AlSi and 6000 series alloys currently in production. Traditional high strength 7000 series aluminum alloys, used predominantly in the defense, aerospace, sports equipment and transport industries show the highest strength amongst the conventional aluminum alloy groupings. Producing these alloys using the spray forming technique has allowed WKW extrusion to increase the level of alloying components (Zn, Mg, Cu) resulting in significantly increased strength and much improved isotropic properties without sacrificing ductility. Due to the fine grain structure the machining properties of the alloys is also very good. JD Technologies LLC provides premium sales and marketing services to a group of high quality, complementary manufacturers of engineered services and products who serve the aerospace, military & defense, industrial, and medical industries. They develop long term relationships with key customers who value the consultative style of selling and who wish to interface with sales professionals of high integrity. Their approach is to use proven consultative selling techniques. Consultative selling is a collaborative process that leads customers/prospects through an analysis of their current situation to a resulting improvement. For more information on JD Technologies, LLC, their products, services and their consultative selling methodology, visit www.jdtechsales.com. 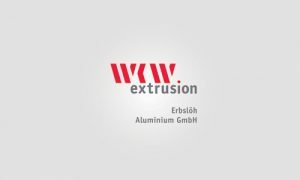 WKW Extrusion is a group including Erbslöh Aluminium GmbH, a German company, and is an established manufacturer of DISPAL® material which is a range of high performance aluminium alloys produced using a spray compaction process. The DISPAL® high silicon material is superior to aluminum with higher temperature thresholds, higher stiffness characteristics, lower thermal expansion and low friction. It is also lighter than steel and lower cost than Titanium.